The Swedish premiere took place on August 9th 2017 of John McCabe’s Les Martinets Noirs (Concerto for two violins and string orchestra). The soloists were the violin duo, Harriet Mackenzie and Philippa Mo, known as Retorica, while the orchestra was the Skallsjö Sommarorkester. The concert took place in St. Nicolai kyrka, Lidköping, as part of the Lidköping Festival. There was no conductor for the work, which can be performed with or without one. Les Martinets Noirs (Swifts) was commissioned by the Amsterdam Sinfonietta (who gave the premiere in 2003) and the Eduard van Beinum Stichting, The Netherlands. 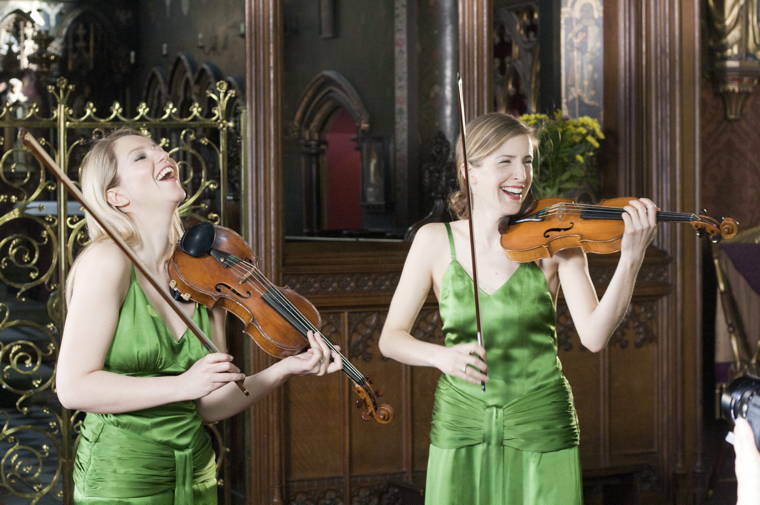 Harriet Mackenzie and Philippa Mo recorded the work for Dutton Epoch, with George Vass and his Orchestra Nova in 2012, on CDLX 7290. 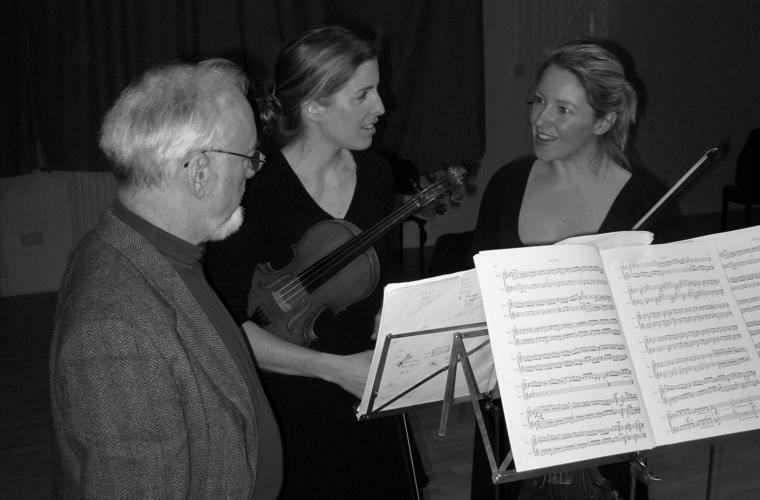 Separately, Harriet Mackenzie has recently won acclaim for her performance of Deborah Pritchard’s Wall of Water Concerto, and with Philippa Mo, Paul Patterson’s Allusions, for two violins and orchestra on a Nimbus CD entitled 21st Century Violin Concertos, together with other works, with the English String Orchestra conducted by Kenneth Woods. Philippa Mo is about to embark on a series of concerts in Dorset, to include all the solo violin works of J.S. Bach, also including John McCabe’s Maze Dances, for solo violin.